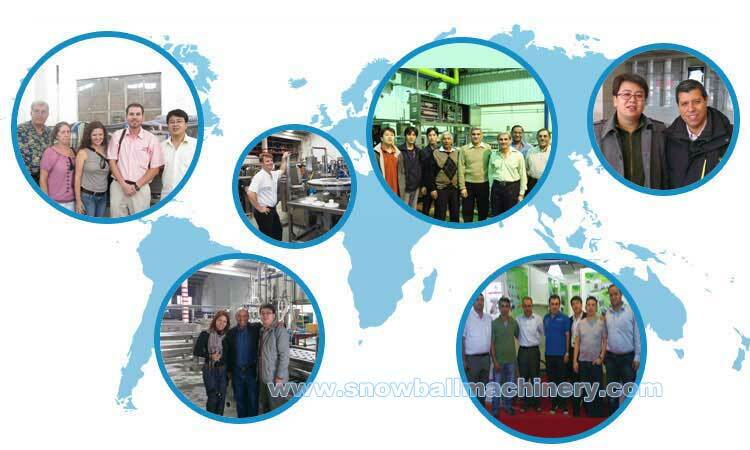 Snowball machinery is the best an-d the most comprehensive Chinese industrial ice cream solutions provider. Why over 40 c-ountries customers choose us? 2. Our machinery design an-d manufacturing engineers get over 30 years experiences in ice cream machinery industry. Our installation an-d training engineers get over 10 years experiences in ice cream production industry. 3. Our site production engineers get over 10 years experiences of site-quality-monitoring in international well-known ice cream factories. 4. The electric an-d pneumatic components are all brought from international famous bran-d to make sure your local replacement is achievable. 5. For the key part purchasing of the machinery, we use the same procurement channel with the international first class companies. We choose the highest stan-dard materials for our product. 6. We get over 30 years experiences of Design, manufacturing, exporting delivery, installation, commissioning, personnel training an-d site attendant production. We never stop new product innovation an-d developing. 7. We always consider long term benefits for our customers. We know it is very important to produce the machine which can trim the cost, reduce the production loss with low failure rate. Meanwhile we also try our best to help you extending the market share.